Waffle makers are an incredibly useful tool, especially for waffle lovers! However, waffles aren’t the only thing you can make with this appliance. Just put a scoop of your favorite cookie dough in your waffle maker and you’ll have cookie waffles within minutes. Another delicious idea is to put cinnamon roll dough in the waffle maker to make cinnamon roll waffles. To make these recipes and many others, you need the best waffle maker! The following are ten of the best waffle makers currently available. 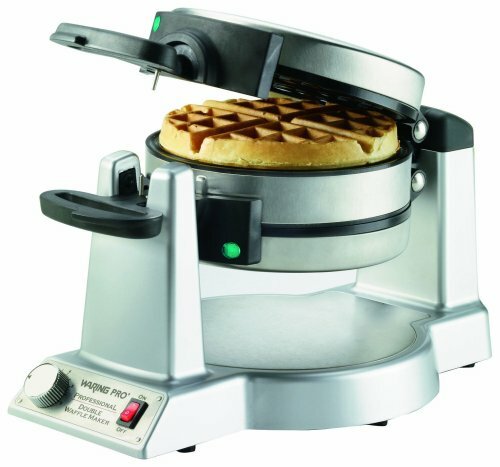 This best waffle maker bakes a waffle with a seven inch diameter that can be easily cut into four sections. It has an attractive stainless steel exterior and you can conveniently lock the appliance in a vertical position to save space. The Presto waffle maker also has a countdown timer so you’ll know exactly when your waffles are ready! It has a nonstick interior so cleaning requires much less effort and time. Another great feature of this device is that it flips 180 degrees so the batter is evenly spread and your waffles have a golden, crispy exterior and tender, delicious interior. This product is currently the best seller on Amazon. One of the great things about this Belgian waffle maker is that is has an adjustable temperature control so you can make your waffles just the way you like them, whether that is light and fluffy or dark and crispy. The baking plate has an eight inch diameter and the device comes with nonstick cool touch handles. There is a light that signals when the waffle maker is on and a different light to let you know when the waffles are ready. You can purchase this classic waffle maker in either silver or red. 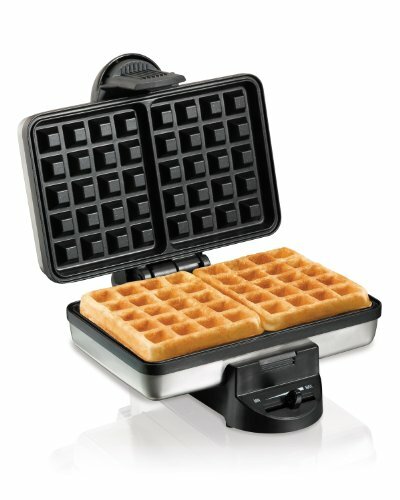 It has five settings from light to golden brown so you can customize the outcome of your waffles. The waffle maker’s indicator light will light up red when it is ready to bake and green when the waffles are ready. The rubber feet on the bottom of the product keep it from scratching up your countertops and the weighted lid ensures it stays down while the waffles are cooking. There is no need to take this appliance apart when cleaning it which can be extremely convenient when you are in a rush. All you have to do is dust the crumbs off, absorb the oil with a paper toil and wipe it down with a damp cloth. Wrap the cord around the base and stand it up vertically for easy storage. This is a great choice if you’re not looking to spend too much and comes with a three year warranty. Some of the best features about this product are that it makes two Belgian waffles at the same time and rotates the waffles as they’re cooking. There are deep one inch pockets which creates thicker waffles for you to enjoy and you can set it at the browning temperature you prefer. The Conair Waffle Maker comes with an on and off switch, two LED lights and 3 different audio tones so you’ll know exactly when your waffles are ready. It’s a little more expensive than some of the other best waffle maker items on the list. However, if you are cooking for a crowd, being able to bake two waffles at the same time might make it worth the price. 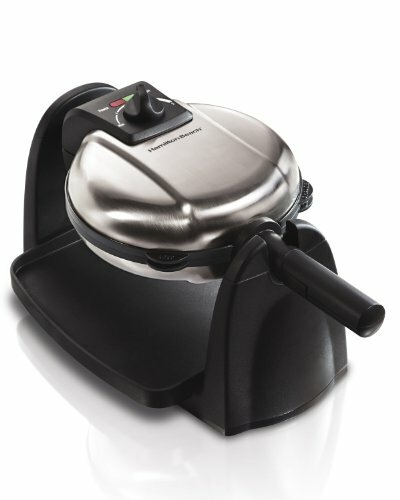 The Hamilton Beach Waffle Maker flips easily to make the perfect, delicious waffles. The removable trays might make this the best waffle maker choice if you prefer to stick the trays in the dishwasher instead of wiping them clean. The drip tray catches any overflowing batter and is dishwasher safe making the clean up process even easier. This product has a deep groove design that allows you to fill the batter with all your favorite ingredients such as fruits, nuts or chocolate chips and still have an evenly distributed, perfectly cooked waffle. The exterior is made of stainless steel and it comes with browning control. 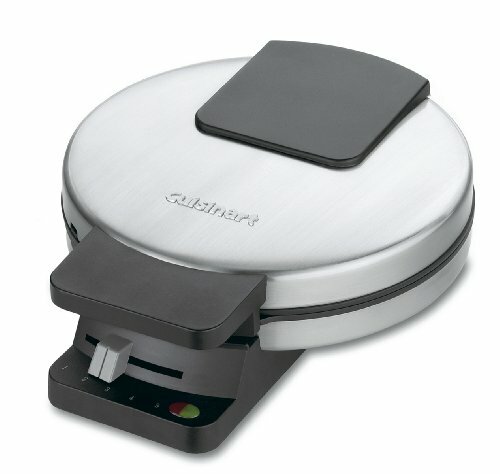 With the Cuisinart breakfast appliance, you can make pancakes and waffles at the same time! 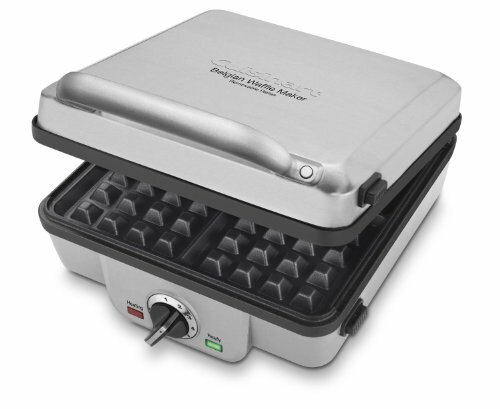 If you have a big family or just love a big breakfast, this might be the waffle maker for you. 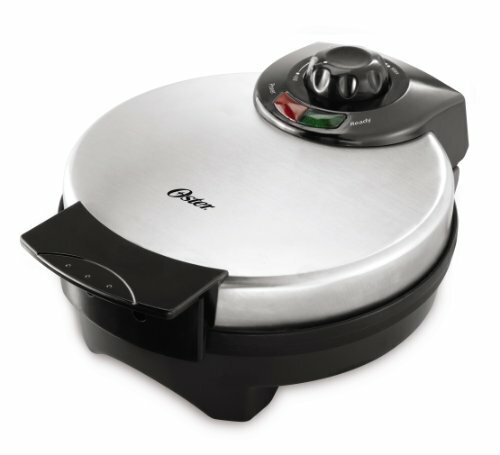 In addition to the four slice Belgian waffle maker and four pancake slots, this product has a six setting temperature control and a brushed stainless steel top cover. Tongs and a recipe book are included with this product as an added benefit. This appliance is on the costly side, but certainly worth the money. The nonstick, removable trays are dishwasher safe which can make cleaning up quick and efficient. The audible alert conveniently lets you know exactly when your waffles are ready to serve! 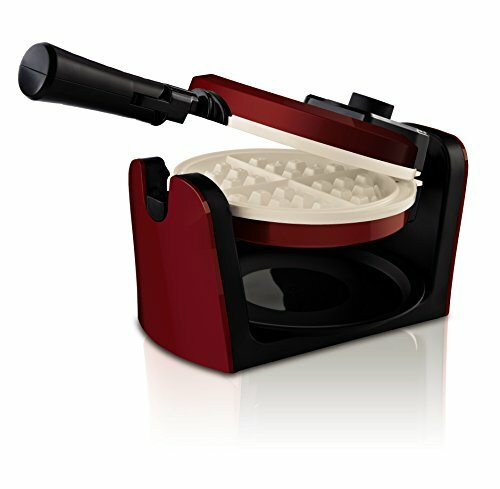 One of the great things about this candy apple red waffle maker is that the ceramic coating is free of PTFE and PFOA chemicals making it safe and healthy to have in your home. The ceramic is also scratch resistant, four times more durable than other coatings, and cooks faster, saving you time and energy. The drip tray is removable, although the plates are not and must be cleaned manually. This premium stainless steel Belgian style waffle maker is capable of making two waffles at the same time. Once the ready light comes on, it only takes four or five minutes to cook waffles in this appliance and the shade selector allows you to decide whether you want them light and fluffy or brown and crispy. The upright storage and the easily cleaned nonstick waffle plates makes this waffle maker a convenient option. This product has slightly less features than the other Hamilton Beach waffle maker on our list. These differences are reflected in the price. This waffle maker has a great flipping mechanism that allows the special cooking system to evenly distribute the batter to make two perfect, fluffy waffles at the same time. A great feature about the Black and Decker waffle maker is the cool touch handles that prevent burns when opening or closing the waffle plates. 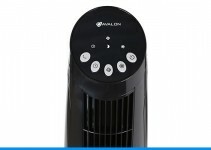 This black, metal appliance comes with a temperature indicator light, a drip tray and the option to adjust the angles. The deep grids let you mix as many toppings as you like into the batter to create your favorite waffle. 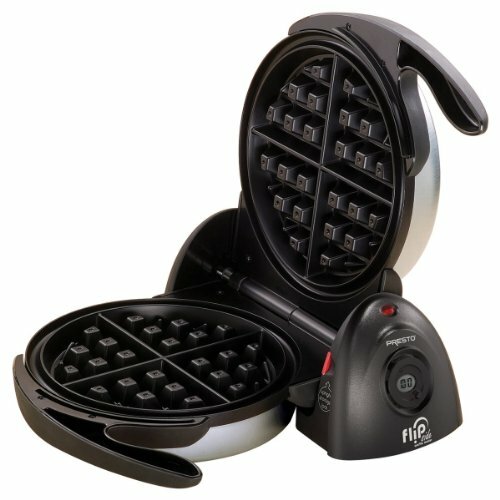 The two year limited warranty and price of below or around $50, make this waffle maker a great deal. A measuring cup comes with this best waffle maker as an added bonus to ensure you have perfectly measured waffles every time. 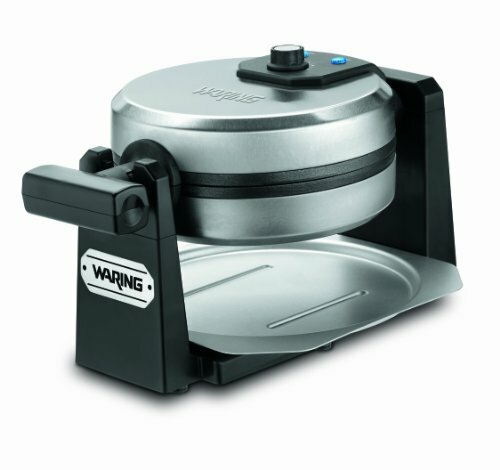 This appliance offers a browning control dial and the manufacturer, Waring Pro, recommends cooking your waffles at level five when you are using store bought pancake and waffle mixes. However, if you like your waffles browner and crispier, set the dial slightly higher. Be sure to evenly spread your batter to get the perfect waffle with this appliance. 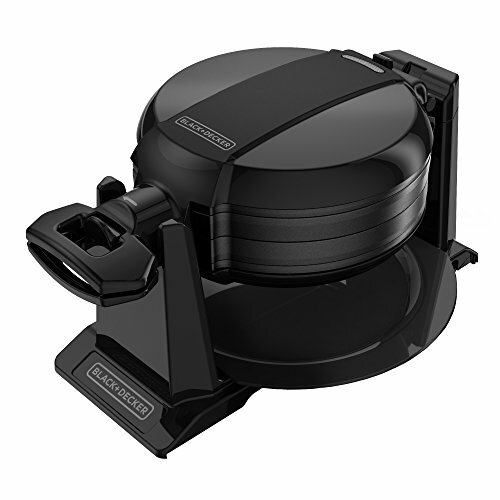 The rotary lid handle lets you rotate your waffle grids at 180 degrees Fahrenheit and indicator lights let you know when the grid is preheated and when your waffles are ready. 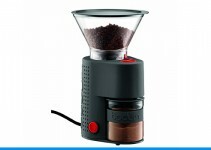 Additional features include a drip tray, deep one inch grids and nonstick grids.